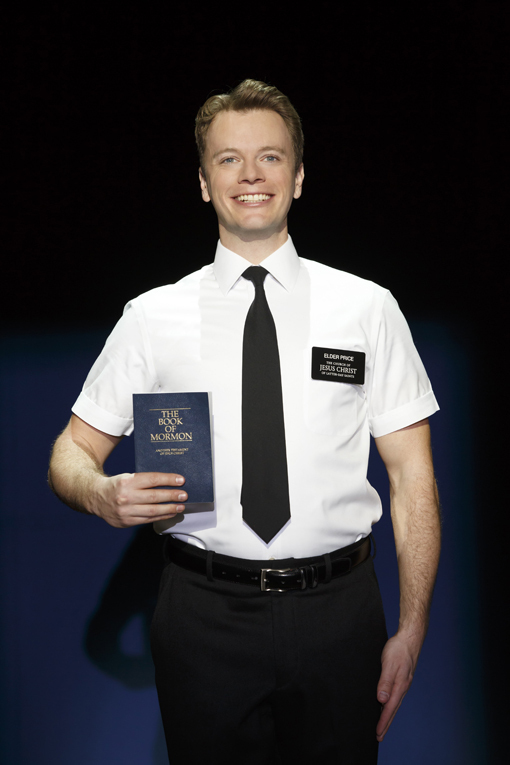 I'd heard only great things about "The Book of Mormon" before I saw it at the Fox Theatre this past week. I'd been told that I would laugh from start to finish. I'd been told that if I like "South Park" that I would find "Mormon" funny. I was told "You're going to love it!" Evidently my friends know me well. I did indeed laugh from start to finish. And it's no wonder..."The Book of Mormon" garnered 9 Tony Awards, including "Best Musical" when it opened on Broadway in 2011, and today it continues to sell out, as has its two national tours! 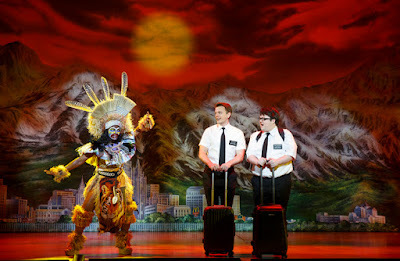 Those same friends, and many of the journalists whose reviews of the show I've since read, have demonstrated respect for The Book of Mormon first-timers by not sharing the jokes, by not spoiling the fun they're going to have at the show. I too will not spoil your fun by telling you what's going to happen, but I'll attempt to set the stage. 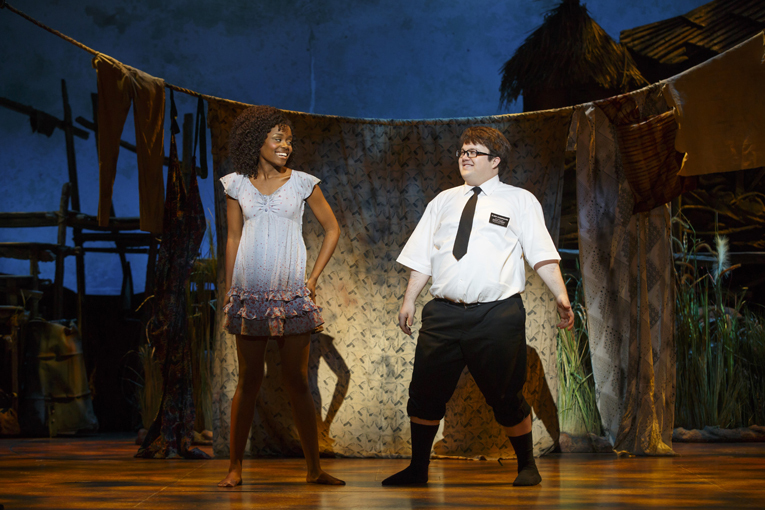 To give you an idea of the humor you'll experience all you need to know is who brought this side-splitting show to Broadway. Imagine the combined talents of Trey Parker and Matt Stone, both of South Park, with Robert Lopez, of Avenue Q, and perhaps you fathom the fun of what's been called by some as "the best musical of the century!". 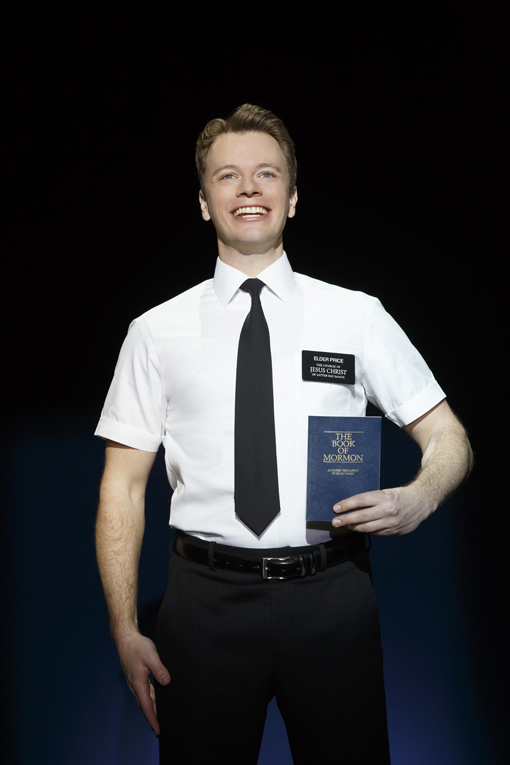 As of the Atlanta 2016 run of "The Book of Mormon", Ryan Bondy is now full-time in the role of Elder Price—one of the two young Mormon missionaries sent to Uganda on a two-year recruiting mission. Ryan had been an understudy for some time, but his performance is so superb that you'd never know that he hadn't been originally cast from the beginning. There are so many stars in this show! I originally wanted to point out two who "stole the show", but that would be an inaccuracy. Each actor brought something unique to the performance, each in a different, but equally brilliant and hilarious way. I have my favorites, though, and you will too. Elder McKinley, portrayed by Daxton Bloomquist, performs the often-misunderstood inner struggle with one's true self vs. the expectations of family, society and church. His antics garnered some of the more uproarious laughs from the audience. I found him talented and delightfully hilarious! There's so much to say about Candace Quarrels, who performs the role of Nabulungi, the daughter of a Ugandan village chief. Succinctly, let me just say, "Wow!" This actress is remarkable in her talent, her range, her technical execution...she's amazing! Hers is a career to watch with great anticipation. The character is naive, hopeful and full of energy and gumption. Pay attention. 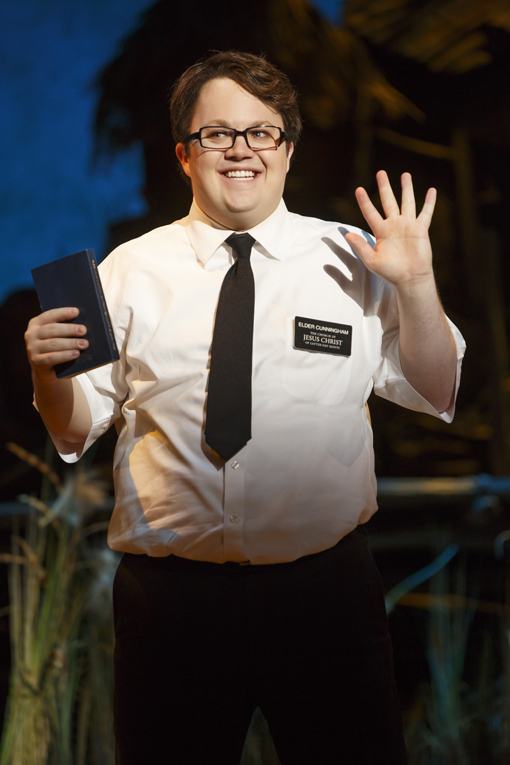 You will learn a lot about Elder Cunningham, played brilliantly by Cody Jamison Strand, early on. But I want you to play close attention to the names he's calling certain characters in the show. This is a fast-paced show, but one that keeps your attention and keeps audiences seeing it again and again! 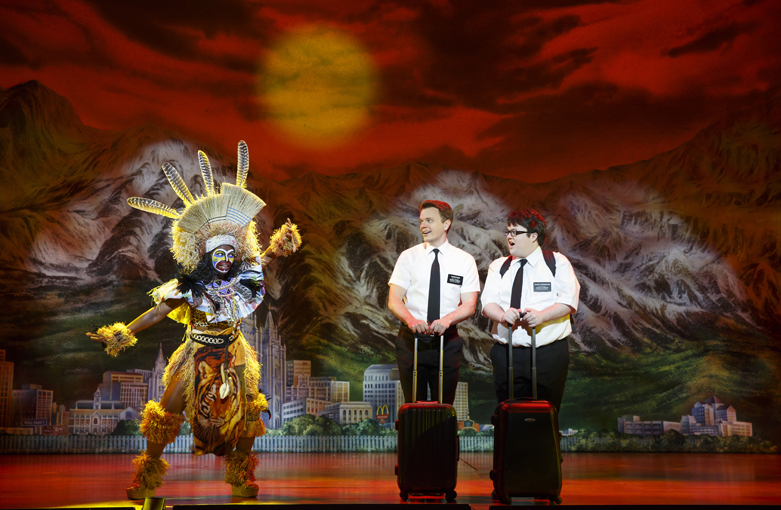 Beyond its potty humor, exaggeration of stereotypes and religious jokes, The Book of Mormon is a sophisticated musical and in many ways profound. It invites theatre-goers to look at their unquestioned beliefs through a different lens. While the theatre was bellowing with laughter, I'm certain that Mormon may well serve as a catalyst for the opening of minds and expanding of awareness of certain social issue and prejudices. That's quite a wonderful testament if you ask me. I'd like to offer a huge wanderlust ATLANTA "Thank you!" to BRAVE Public Relations and Broadway in Atlanta for the tickets...for this hilarious, totally awesome musical experience! 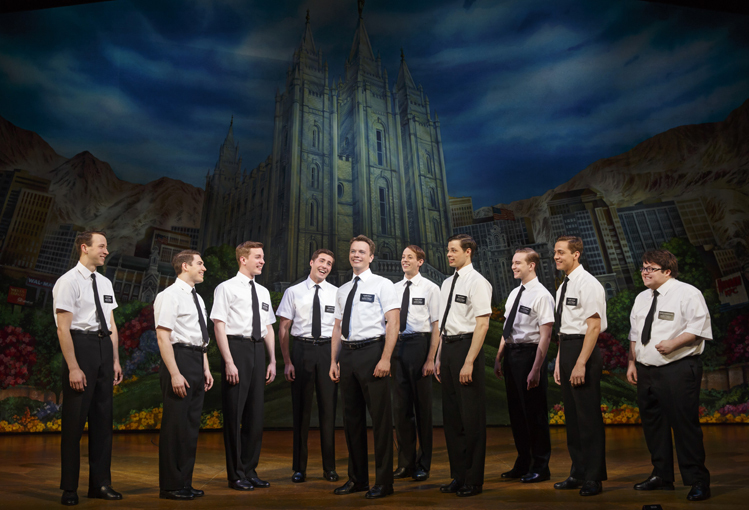 "The Book of Mormon" is onstage at the iconic Fox Theatre through Sunday, January 24, 2016. Get your tickets here. Then leave your sensibilities at the door and prepare to laugh until it hurts! Habsburg Splendor is Beyond Splendid!